A valuable resource for anyone dealing with corporate and securities law in the Province of Alberta. Introducing the definitive annotated guide to Alberta’s Business Corporations Act, featuring expert commentary from recognized industry leaders, Bryce Tingle and Paul Barbeau. Useful context for those wanting to understand and interpret the legislation. Comprehensive case annotations related to the most up-to-date version of the legislation, including foundational cases, as well as recent developments. Expert commentary on how provisions of the legislation should be interpreted in everyday practice and how they have been applied in the case law. A copy of the Business Corporations Regulation (Alta. Reg. 118/2000). Cross-referencing that discusses how various sections of the ABCA interact with one another. 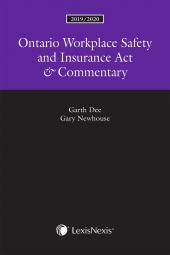 A preface that features the authors’ assessment of the ABCA and how it compares to the Ontario Business Corporations Act and the Canada Business Corporations Act, as well as a discussion of ways the ABCA could be modernized to reflect recent developments in corporate law and practice. Bryce C. Tingle, LL.B., LL.M., holds the N. Murray Edwards Chair in Business Law at the University of Calgary. 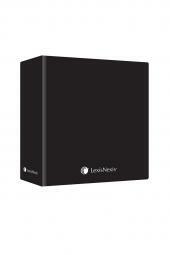 He is a member of the founding teams for several companies active in the technology, energy and financial industries. He is a long-standing member of the Securities Advisory Council of the Alberta Securities Commission and from 2012 to 2017 was a member of the Ontario Securities Commission’s Exempt Markets Committee. He has also served as the general counsel of several technology and natural resource companies. From 1994 to 2006, Professor Tingle was a co-founder and partner of TingleMerrett LLP, focused on securities and corporate finance for growth companies. He was named one of the University of Calgary’s Peak Scholars in 2014 and 2015. 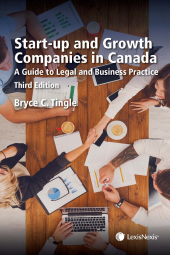 He is the author of several academic publications, including Start Up and Growth Companies, A Guide to Legal and Business Practice, Third Edition (LexisNexis Canada, 2018). Professor Tingle has a Master of Laws from Duke University, a Master of Laws (E-business) from Osgoode Hall Law School and a Bachelor of Laws from the University of Alberta. J. Paul D. Barbeau, J.D., is a partner at McMillan LLP in Calgary. He received his J.D. from the University of Toronto and was admitted to the Alberta Bar in 2004. His practice focuses primarily on mergers and acquisitions, corporate finance and commercial transactions. Paul’s M&A experience includes advising buyers and targets on take-over bids (hostile and friendly), plans of arrangement, reverse take-overs, going private transactions, and other forms of corporate mergers. In his corporate finance practice, he has acted for both issuers and underwriters on initial public offerings, bought deal short form offerings, subscription receipt offerings and the issuance of convertible debt. He also has extensive experience in various commercial transactions, including asset and share sales and joint ventures.